She’s fierce and floral all at once. 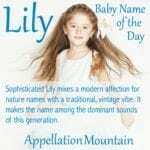 Our Baby Name of the Day is Tigerlily. Torn about whether to name your daughter Fox or Rose? Look no further. This name pairs an apex predator with a delicate blossom for a name that is a study in contrasts. Maybe that’s not entirely fair. 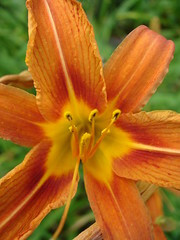 Tigerlily isn’t exactly a smoosh name – it is a legitimate bloom. Or a few blooms, which all can be called the tiger lily, usually written as two words rather than one. 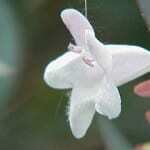 A white lily is elegant and restrained. The bright flame orange of tiger lilies is the opposite – assertive and bold. 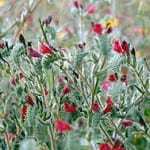 But so are botanicals like Zinnia and Azalea. What’s more, Tigerlily has more history as a given name that you would think. First there’s the Native American princess in Peter Pan. She’s a love interest for the boy hero, a permanent resident of Neverland who proves unceasingly loyal, at least in most versions of the enduring J.M. Barrie tale. There’s also a Tiger-lily in Lewis Carroll’s Through the Looking Glass. She’s actually a tiger lily. When Alice addresses a garden full of flowers, the flowers talk back. Tiger-lily is among the chattiest. In 1940, Lucille Ball played a chorus girl called Tigerlily in Dance, Girl, Dance. The flick featured a pair of roommates and aspiring dancers, both trying to hit it big in New York. Dance was a dud, but over the years it has attracted a following. Then came the 1990s, and two high profile uses pushed Tigerlily onto some parents’ radar. First was Natalie Merchant’s 1995 album Tigerlily. Merchant had just ditched 10,000 Maniacs, and her folksy indie style was very of the moment. In 1996, INXS frontman Michael Hutchence and British television host Paula Yates welcomed a daughter named Heavenly Hiraani Tiger Lily. The first two names were chosen by her half-sisters, while mom and dad settled on the second two. She is known as Tiger, which isn’t so wacky when you consider that those half-sisters are Fifi, Peaches, and Pixie. 1998 is the first year that more than five girls received the name in the US. In recent years, around a dozen girls are named Tigerlily annually. But let’s not forget – Tigerlily can fly under the radar. A few girls have also received the name Tiger. There’s no way to prove it, but I suspect that some of them have Lily for a middle name. It appears that Tigerlily is most often bestowed as a single smoosh name. Waltzing More Than Matilda has reported on a few babies called Tiger Lily and also Tigerlily. All things considered, Tigerlily is among the more outlandish of the blossom names parents might consider in 2013. And yet that doesn’t mean she’s unwearable. She shortens to the inconspicuous Lily as easily as the stand-out Tiger. And the flowers are lovely. 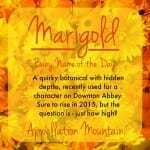 If you’re after a truly unexpected floral name, Tigerlily could make your list. I have a Tigerlily and she wears her name proudly. She is string yet feminine just as the name suggests. We worried if it wasn’t a stretch, but she receives nothing but positive feedback from people under 70. I was blessed with a great great granddaughter on 3-19-14, and her mother named her Tigerlily Marie! I don’t know how to feel about it so I will probably call her Lily. I just wonder how she will feel about it. I think that it sets her up for a lot of teasing maybe bullying. We called our daughter Tigerlily and it’s so cool that I can’t imagine her being called differently. Strong and beautiful at the same time. Very appropriate for independent woman. I know she’ll love it when she grows up. My little miss Tigerlily Skye. But the Peter Pan thing kind of kills the usability for me. Don’t get me wrong, the flowers are lovely, and I have happy memories of listening to the Natalie Merchant album in college… but the Peter Pan connection isn’t sweet. I love, love, love Tigerlily, but I don’t think my husband will share my enthusiasm for this charming name. I do enjoy seeing it occasionally in the birth announcements on Waltzing. My favorite spotting- Tigerlily and her brother Wolfgang! I really love the sound of Tigerlily and love the flowers.. I also love the Peter Pan connection, but I just dont see myself having the guts to use her. But I would be overjoyed to see someone else use her!